PRIME LOCATION TO HAVE YOUR DREAM HOBBY FARM. 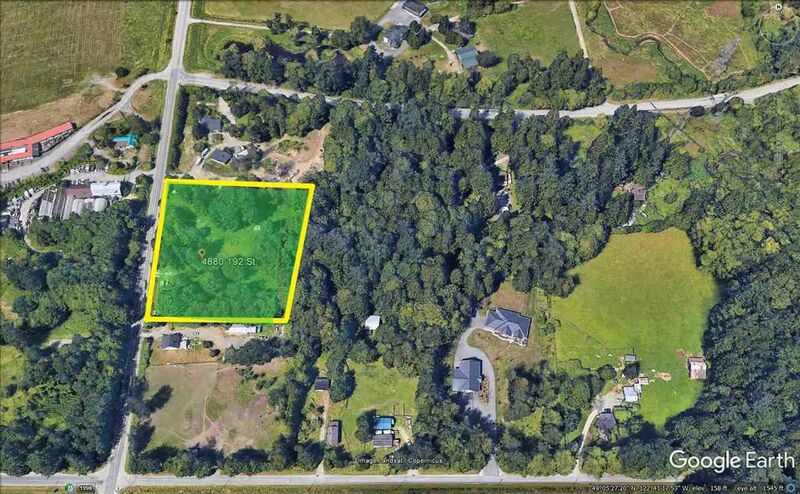 3.1 Acres zoned A-1 in ALR. Land Value only. Property has some out buildings and fruit trees. Close to shopping, Hwy 10 and easy access to South Surrey and White Rock.